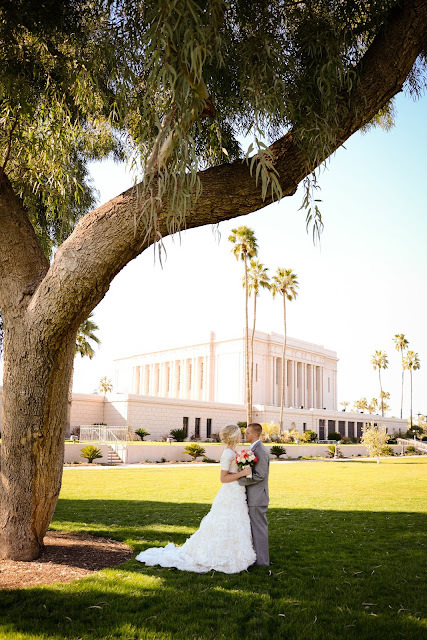 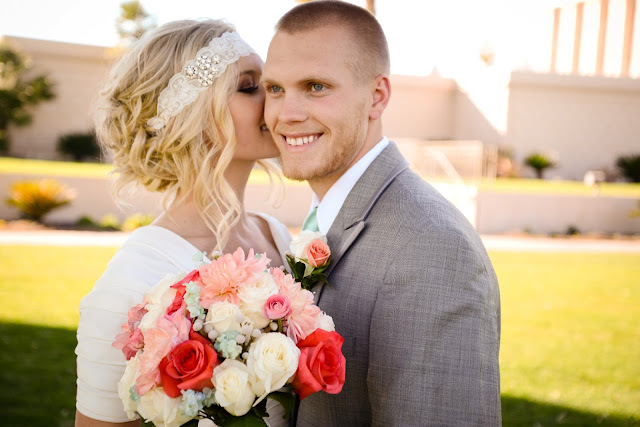 This beautiful couple was sealed in the Mesa Arizona Temple, one week after their adorable first look session. 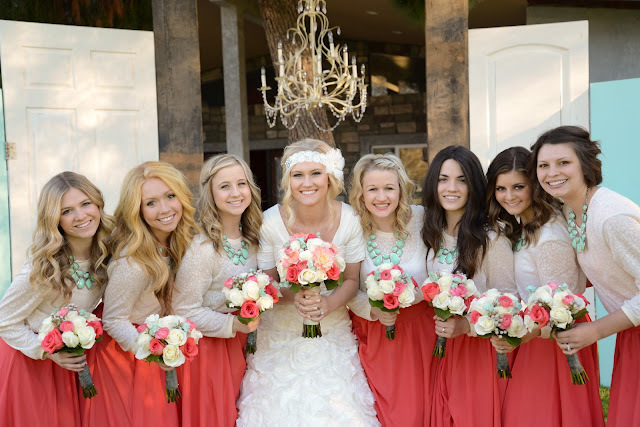 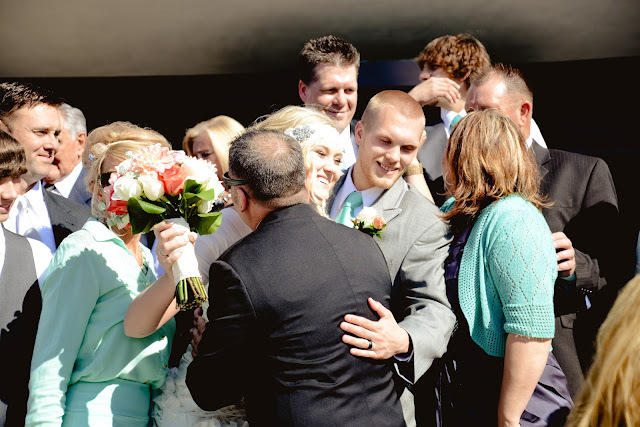 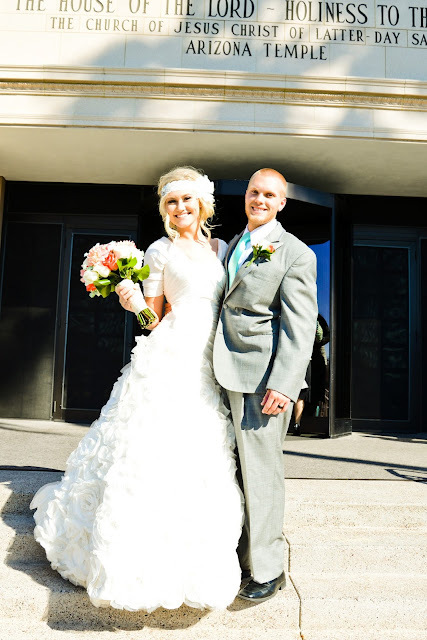 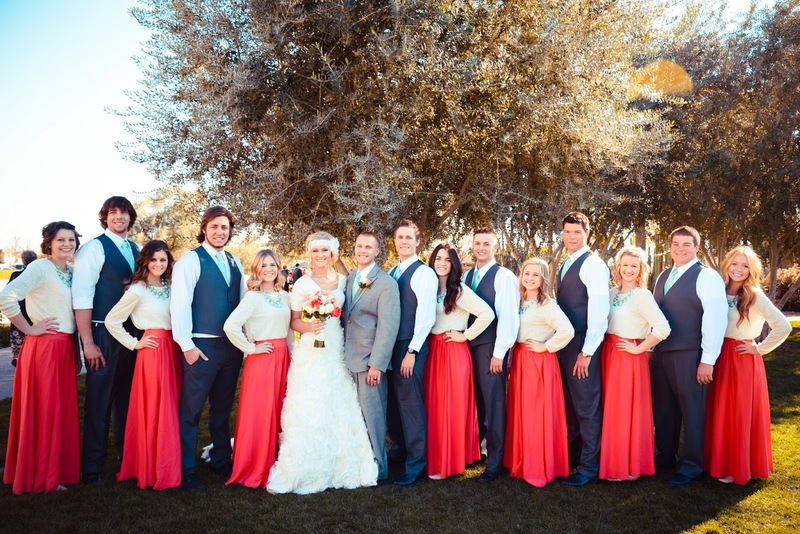 They had a huge group of family and friends congratulating them on their big day. 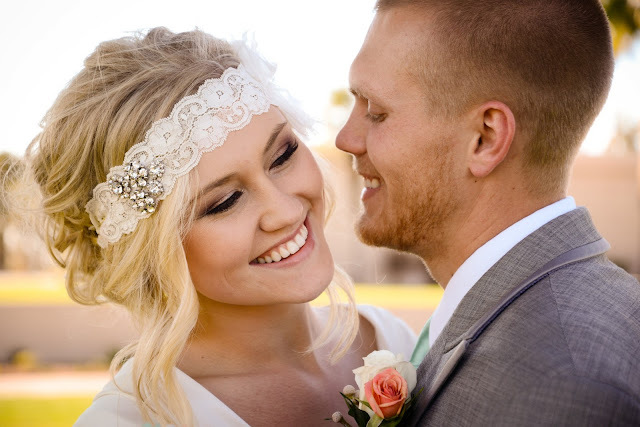 To say their wedding day was lovely is an understatement. 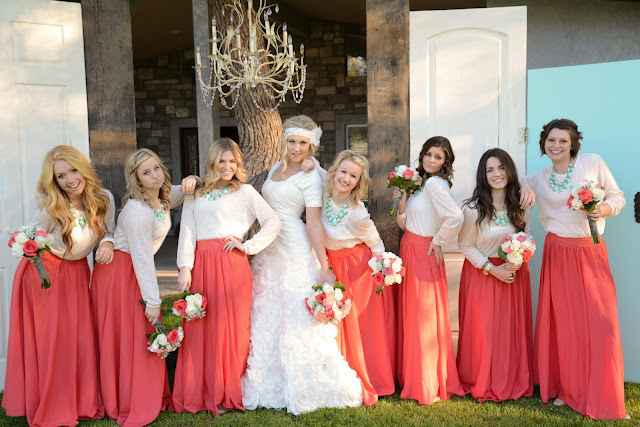 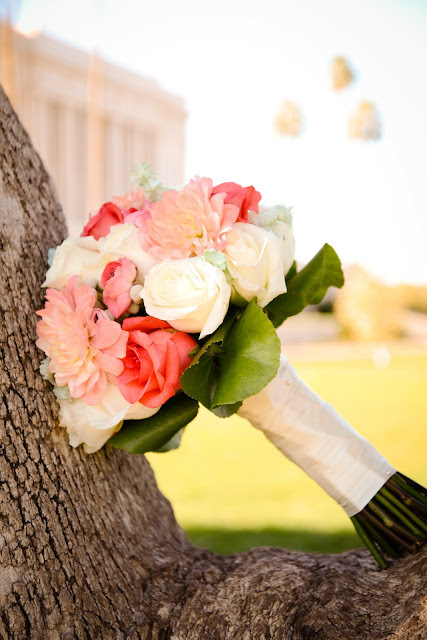 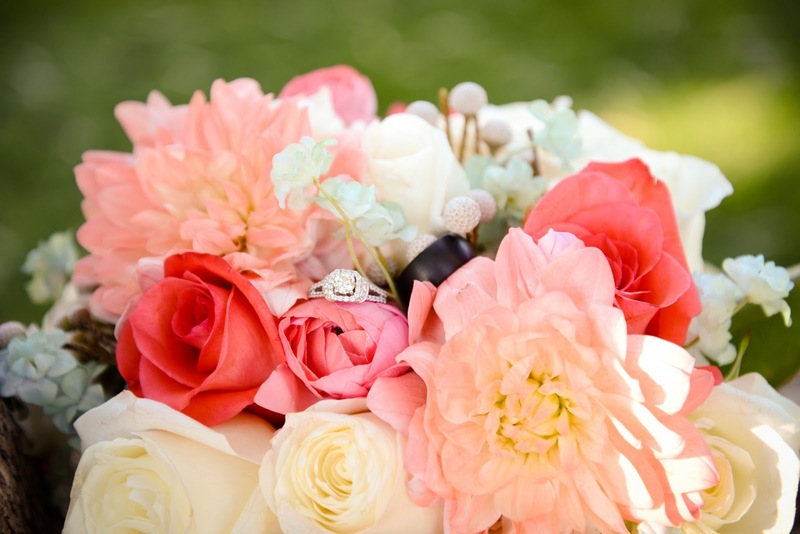 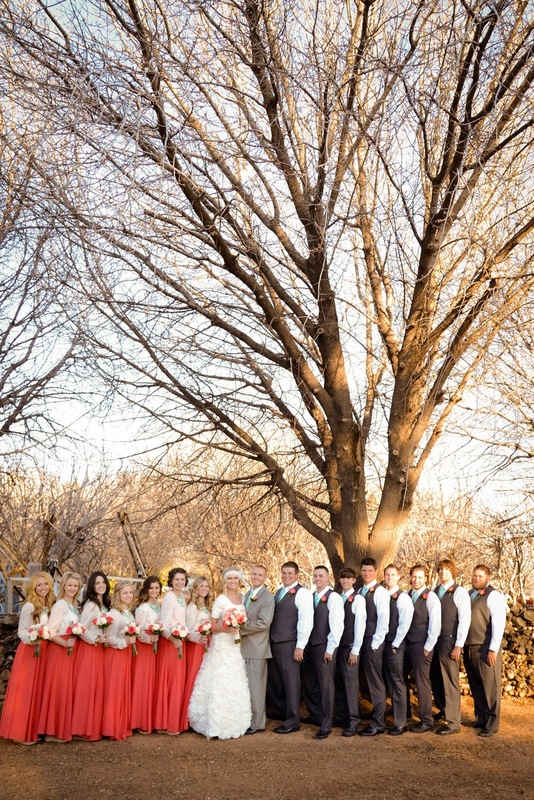 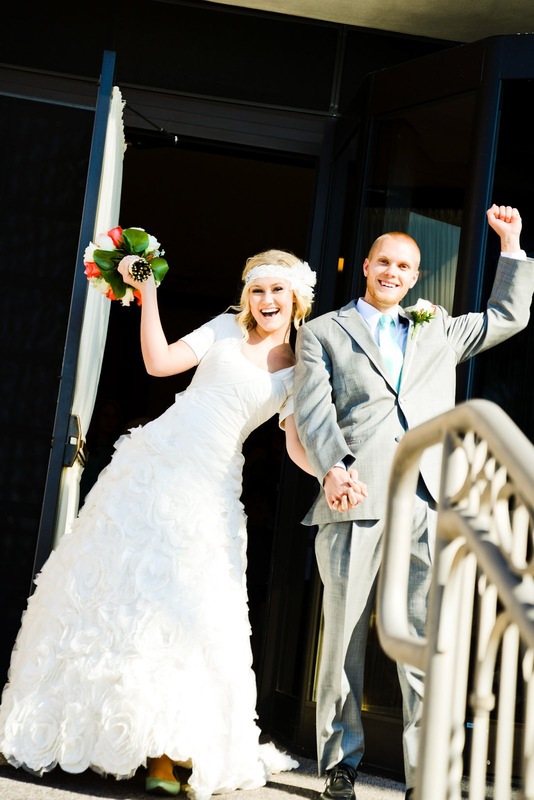 They had great weather, fantastic decor, and and amazingly beautiful and fun wedding party. 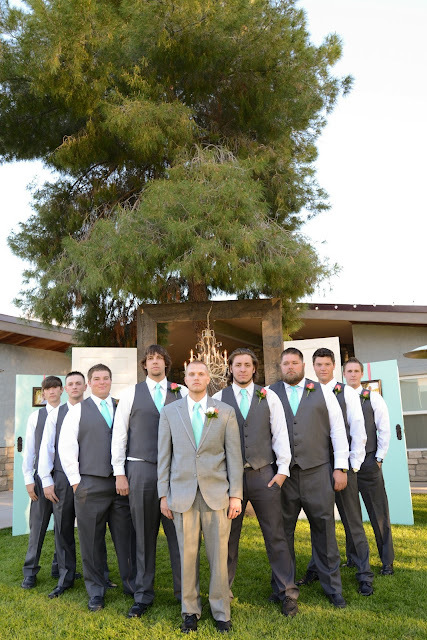 We took advantage of the temple grounds for a few formal shots. And then made use of the golden hour back at the reception site. 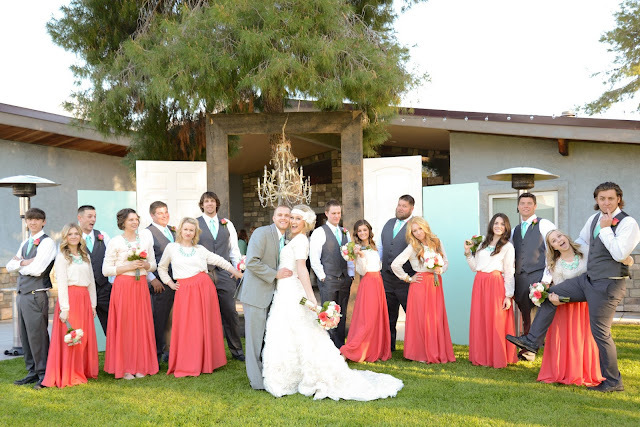 This couple had a team of loved ones make this backyard reception wonderful! 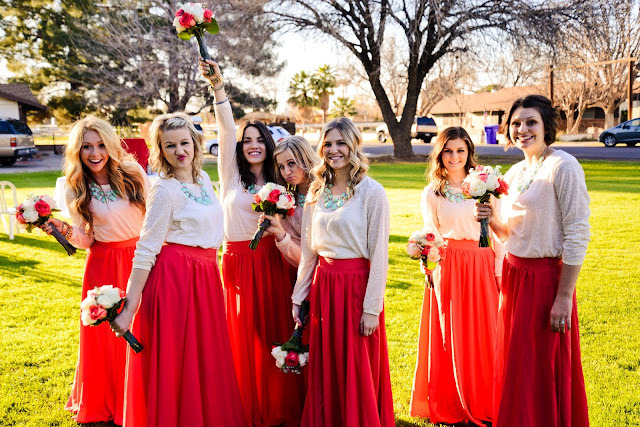 and did I mention the wedding party was adorably fun? 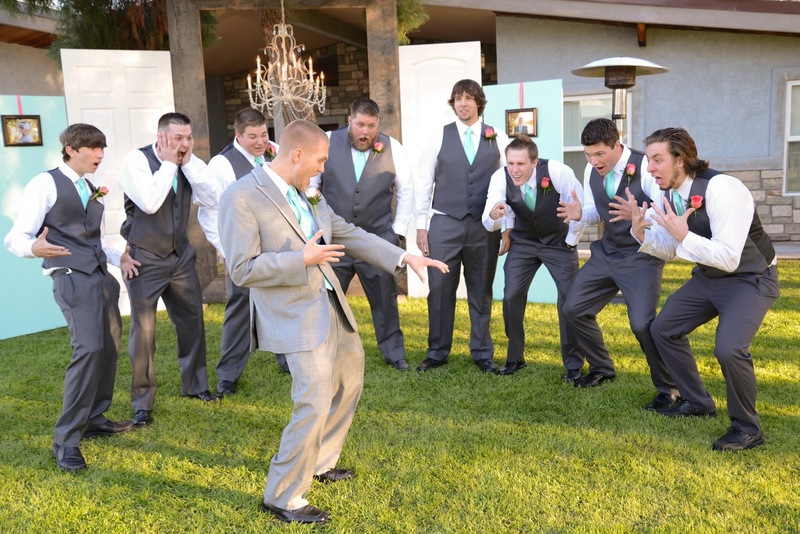 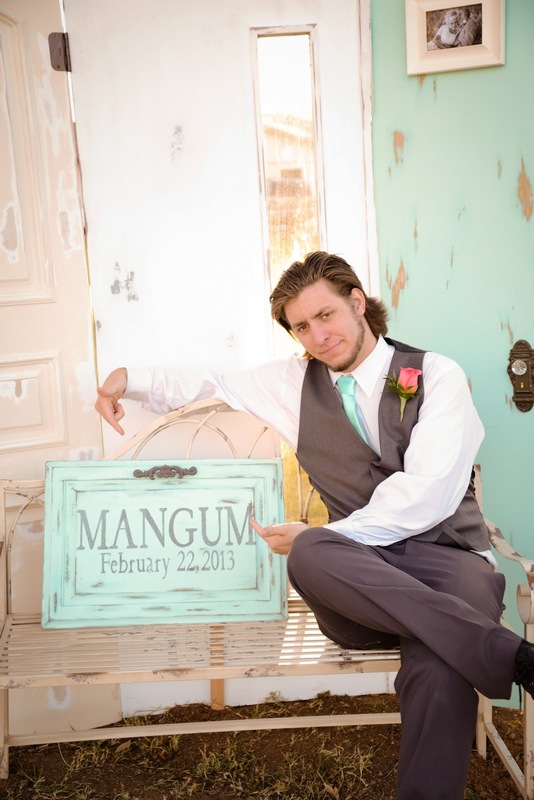 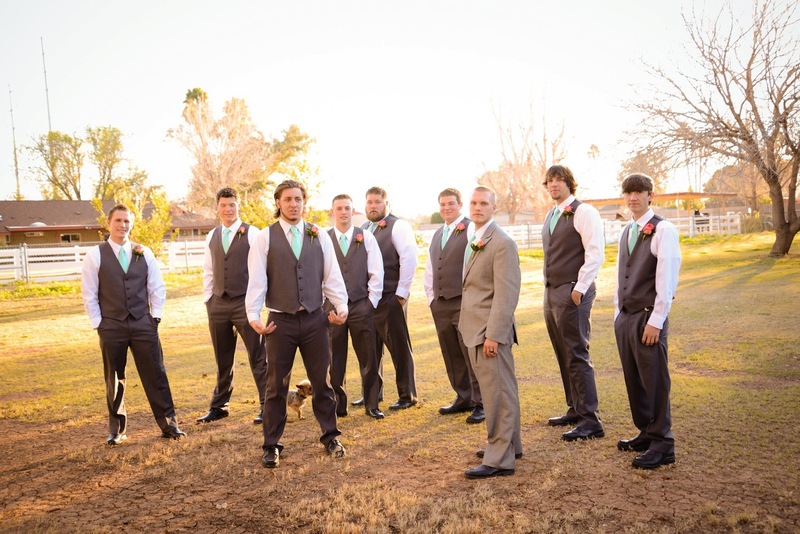 This groomsman takes credit for making the whole day go down, he's the one who introducted the couple! 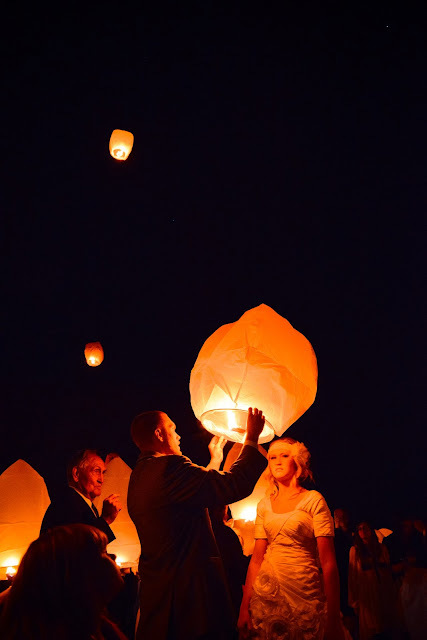 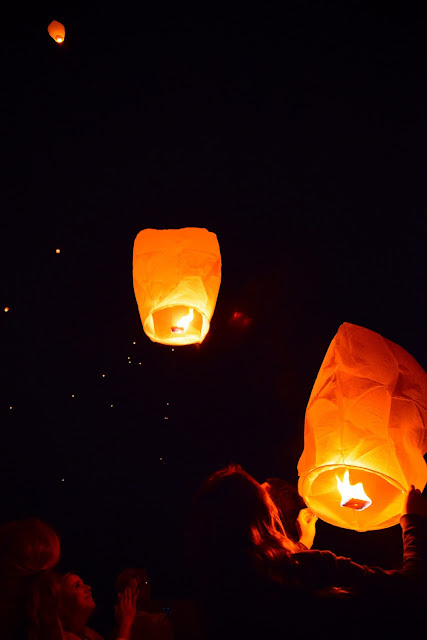 After dancing the night away, there was an awesome Chinese lantern release. 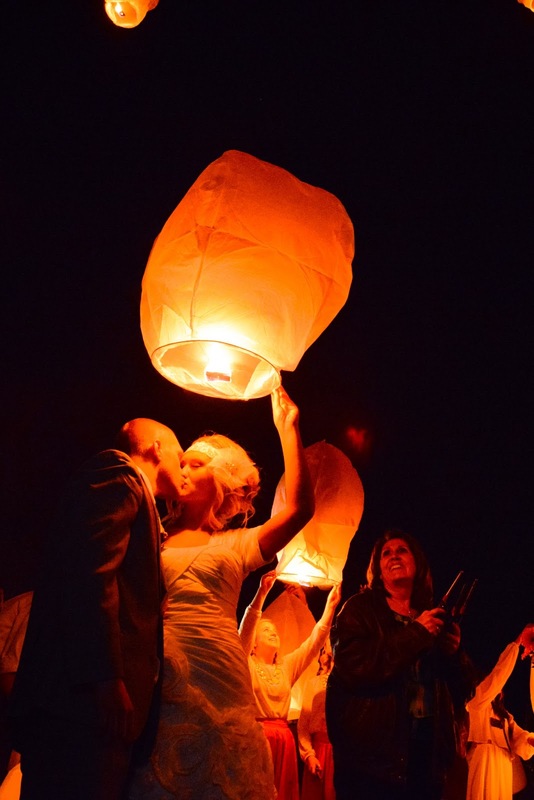 It was so beautiful watching these wishes of love and happiness rise up and join the stars. 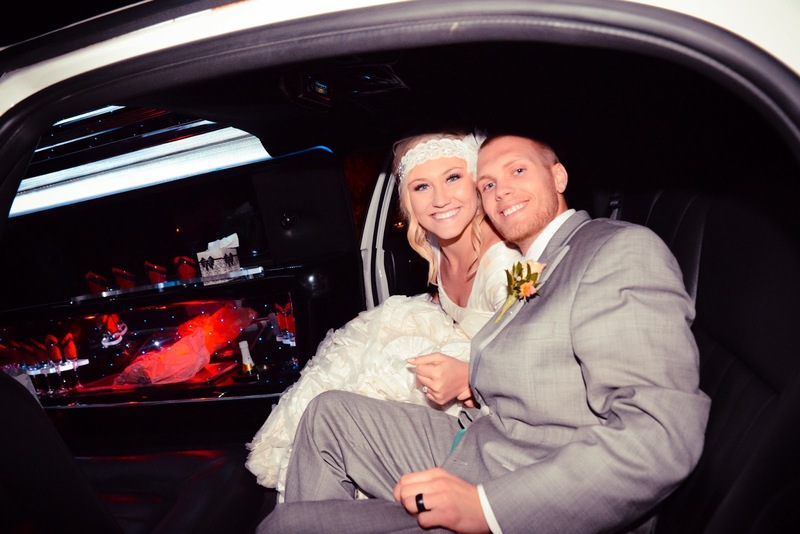 Congratulations Mikki and Ty, thanks for letting me share your special day!